…but what's that got to do with the price of eggs? 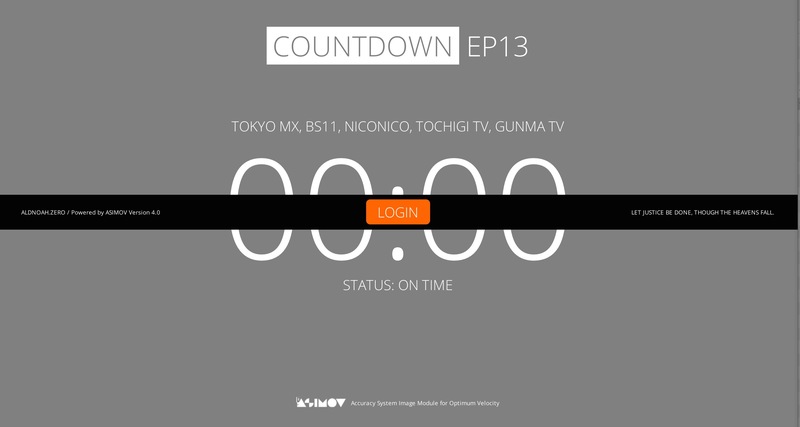 Aldnoah.Zero S2 countdown, zero hour: whither to? Zero hour is finally here!!! The “the rebellious knight” (“hangyaku no kishi”) is apparently Slaine rebelling against his former self that was powerless and unable to achieve what he wanted to achieve most (protect the princess). Hanae: And he also piloted Cruhteo’s Kataphrakt, Tharsis, right? How was he able to do that? That’s definitely something they’ll have to deal with, right? Ono: You’d think so. There’s no way they can leave that question hanging: how in the world was he able to pilot it? Hanae: Yeah…well, that was really cool, Slaine was. Ono: But well, from now on, it’ll be your turn, Inaho’s turn, right? Hanae: Inaho’s turn? In the second cour? Ono: Since Slaine is heading to the dark side. Well, inside my head, he’s headed to the dark side. Hanae: Well…I asked them about it, actually, and…there’s a bit of that. Hanae (laughs): Something to look forward to, huh? The adults in A/Z are carrying scars from their experiences during Heaven’s Fall. That’s why they have been unable to take action. In contrast, the children (Inaho, Slaine, Asseylum) weren’t carrying any burdens yet, so they were able to move immediately. However, with episode 12, they have come to bear their own burdens. Hence, they have no choice but to become adults in that sense. On the other hand, the adults have seen what the children have been able to do. The question is whether this inspires them to move forward. Both the cut in the first opening where Asseylum points her gun at someone, and that tagline of “Let justice be done, though the heavens fall,” are where the story is heading. Who is Asseylum pointing her gun at? And what ‘justice’ are we talking about? MAG fan, freelance translator and political scientist-in-training. I also love musicals, travel and figure skating! 3 Responses to Aldnoah.Zero S2 countdown, zero hour: whither to? The princess is probably alive and lost her memory and Slaine will hired her from outside world. Inaho will find her because he is in love with her and will help her make the peace. Cold heart Nao-kun is Cyborg now. As always people are tied to machines when they are smarts. The only thing I am not sure is why Eddelrittuo is with the Martians? LOL. does seem like some of it will probably come to pass. Though they probably have other orders anyway, Inaho will definitely try to find out exactly what happened to the princess, since she’s either lost her memory, or they have a fake stand-in. I’m not sure about Eddelrittuo either. She had been taken into custody by Martians at the end of last season, so perhaps they had some means of getting back to another Vers landing castle. Argh! So many questions! I’d suspected at least a one-year time skip thanks to the last A/Z Reports (#25), but 19 months!?! What in the world has happened in the meantime? Where are Yuki and Marito? Editorials and translations by an anime and manga fan, amateur translator and political scientist in training. Unless otherwise noted, all Japanese, Korean and Chinese names will appear in surname-given name order on this blog. 'White Box' Treasure is where I store my collection of translations and useful links. I also post random translations snippets at 'White Box' Gems and have fun with Japanese at Language is Life. Otherwise, feel free to hit me on curiouscat or tumblr, or tap the "Ask me anything" tab below the header. GWENT: CRIMSON CURSE META UPDATE! Hello! Sorry but what’s up with the LSW manga? Is it a new one or a different version or they’re adding an extra chapter featuring Fushimi Kisa and Fushimi Niki? Thank you! Speaking Japanese Without an Accent – Vital Skill or Party Trick? Key elements in anime production: ‘Scripts’ ‘scripts’ and ‘scripts’? My collection of links to anything and everything that goes on 'behind-the-scenes'.